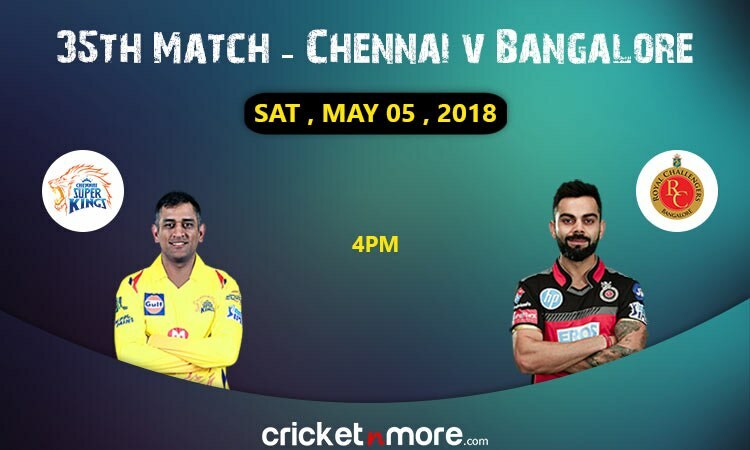 Pune, May 5 - Chennai Super Kings skipper Mahendra Singh Dhoni won the toss and opted to field against Royal Challengers Bangalore (RCB) in an Indian Premier League tie at the Maharashtra Cricket Association Stadium, here on Saturday. Both sides have made three changes in their playing XI as AB de Villiers, Parthiv Patel and Murugan Ashwin replaced Quinton de Kock, Manan Vohra and Washington Sundar for Bangalore. On the other hand, David Willey, Dhruv Shorey and Shardul Thakur made it to the Chennai playing XI in place of Faf du Plessis, Karn Sharma and KM Asif.